Parakai Geothermal Motel was opened in 2005. It features superior ground floor self-contained motel units which are serviced daily. 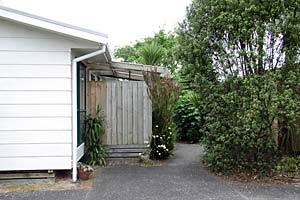 There are three studio units, and four one-bedroom units, all set in a quiet garden setting. All units have fully equipped kitchens, modern appliances, comfortable furnishings. Each unit has its own private hot mineral spa pool, which is drained and cleaned daily. No chemicals used. 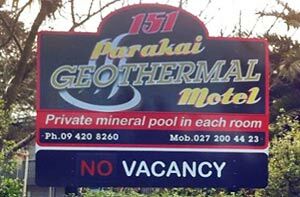 Parakai Geothermal Motel is located directly opposite Aquatic Park Parakai Springs, just five minutes from Helensville, 12 minutes from Kumeu, and 40 minutes' drive from downtown Auckland City. There are restaurants, takeaways, a supermarket and bars within easy walking distance.